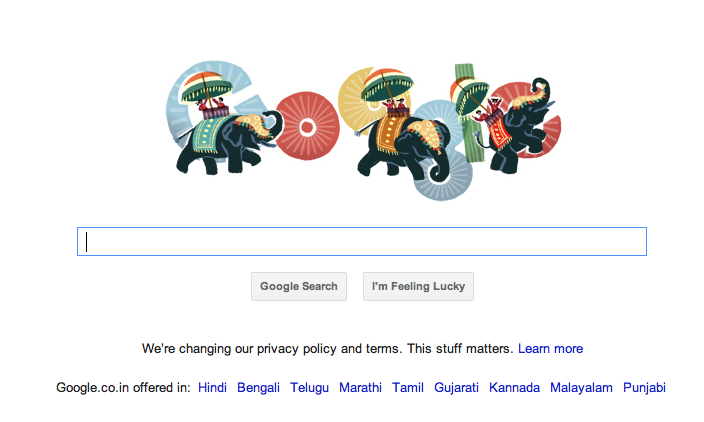 Google Search Engine celebrates 63rd Republic day of India with Google doodle of 3 Elephants carrying Brave Children of India. National Bravery Award for Indian Children is given each year by Government of India and ICCW, to Indian children for meritorious acts of bravery against all odds. 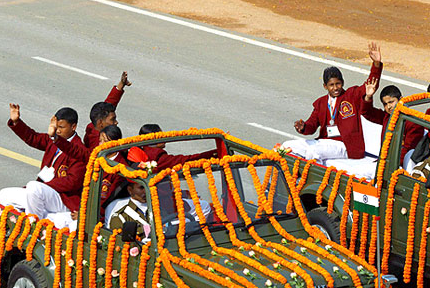 19 of the 24 children selected for the National Bravery Award – 2009 are participated in the Republic Day parade in New Delhi. Five of the children lost their lives and awarded earlier. The award is given to around 24 children below the age of 16. Awards given to kids are in these names. Bharat Award, Sanjay Chopra Award, Geeta Chopra Award, Bapu Gayadhani Award, National Bravery Award. Although every year these brave children take ride on Elephants and get opportunity to salute PM, President and many other ministers, this year they didn’t get ride on elephant. They were riding in 5 open Military Jeeps. 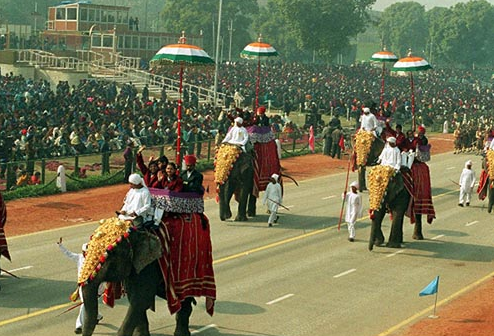 Every 26-January is special for all the Indians and moment of pride to see Republic day parade on Rajpath Road, New Delhi. Thanks to Google for recognizing this and providing Google Doodle.